0. Create your sketch using p5.js. 1. Upload the sketch.js file (or whatever you’ve named it — it’s much better if it’s named something like julie-landscape.js) to the WordPress Media Library. For the present time, the plugin only permits you to upload a single .js file. 4. Add class='p5-embed' to the link to specify it should be parsed as a p5 sketch. 6. 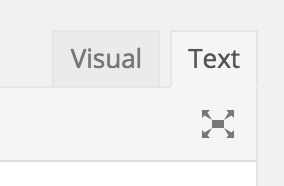 You can also change the code font size with the tag data-fontsize='9'. To include external files (for example, an image via loadImage command) you will need to upload the files individually to WordPress and use the full blog URL or the upload in the JS code.